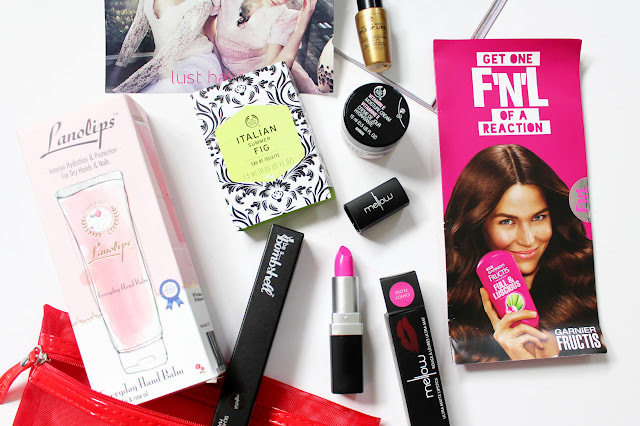 This month's was jam packed full of products. There are three full sized products and five sample sizes, with three of them being deluxe sizes. 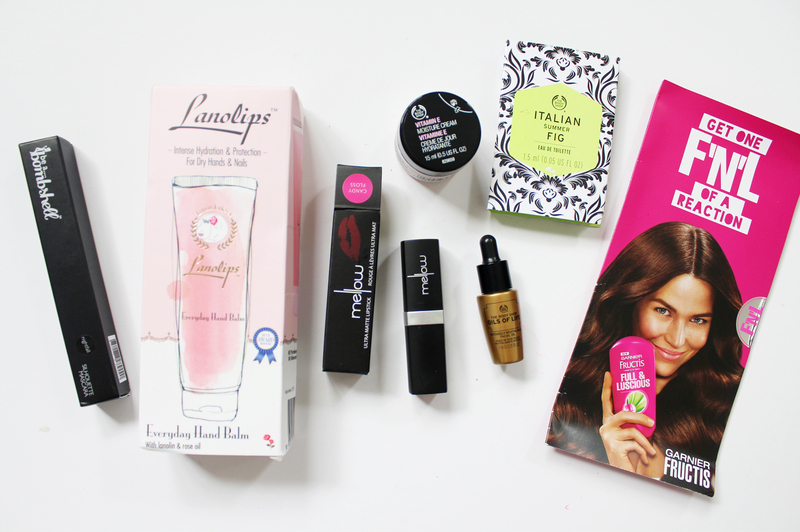 Inside is a great mix of skincare, hair and makeup products and I think I can already say this is one of my favourite boxes that I've got in a while! Be A Bombshell is becoming a staple in these boxes, I have had a lot of products from them over the months! This mascara seems quite basic with no indications if it is supposed to be lengthening, volumising etc - it gives nothing away. The brush is a basic bristle brush but it sort of bulges out near the base a bit which I imagine with be good for getting the outer lashes. I have heard of Lanolips quite a bit from many UK bloggers who really love their lip balms, so I'm so happy to see this hand cream included. It's a big full sized tube (major ticks from me) and is for dry hands and nails, with rose oil and lanolin to promote hydration. It has a really talcum powder/powdery scent to it, which is very nostalgic to my childhood. I didn't realise before but Lanolips is Australian made and is all natural and cruelty-free. There was another option you could have received; the Lovely Lanolin Golden Ointment (RRP $28.95 - full size). I'm quite familiar with Mellow as they're an NZ based brand, but I haven't tried many of their products before. You could have either received a Matte Lipstick, or a Blush (RRP $14.00), and I'm pretty stoked I got this lipstick shade. Candy Floss is seriously vibrant as you can see in the swatch and one swipe gives you full opaque colour. I'm yet to try it on the lips, but I think I'll need to be pretty brave to wear this one out of the house. I swatched it beside M.A.C's Candy Yum-Yum and it is a pretty close dupe, but Candy Floss is slightly more purple in the undertones - it would make a good alternative, though. The packaging of the lipstick is a little disappointing though as the lid easily pops off, so you'd have to be very careful with it in your bag. Thankfully they have recently upgraded their packaging (which looks stunning), you can see it on their website here. I love a good facial oil and I bet this one is going to be gorgeous to use. It smells like a spa should smell and it is infused with Black Cumin, Camellia seed oil and Rosehip seed oil to revitalise the skin, replenish moisture and reduce the signs of aging. This is a deluxe size of 7ml, and you only need a few drops of oil each time, so I'll be able to get a fair trail of this. I love the skincare that The Body Shop offer and have tried a few products from the Vitamin E range, but not this moisturiser. This range is aimed at normal/dry skin and is more like a lotion, perfect for use in the mornings under makeup. This is an ideal travel size pot (15ml) and I will be able to get many uses from it. It's a pretty good deal getting three great samples from The Body Shop, and the final one is one of their fragrances - a cute little 1.5ml spray bottle (ideal for handbags) of their Italian Summer Fig scent. It has notes of grape leaf, milky summer fig and woody notes. I don't think this will be a scent for everyone but I think it smells really nice! The final samples are two single use sachets (10ml each) of a new shampoo and conditioner from Garnier. They are designed to make the hair visibly thicker and fuller like you have more hair on your head! 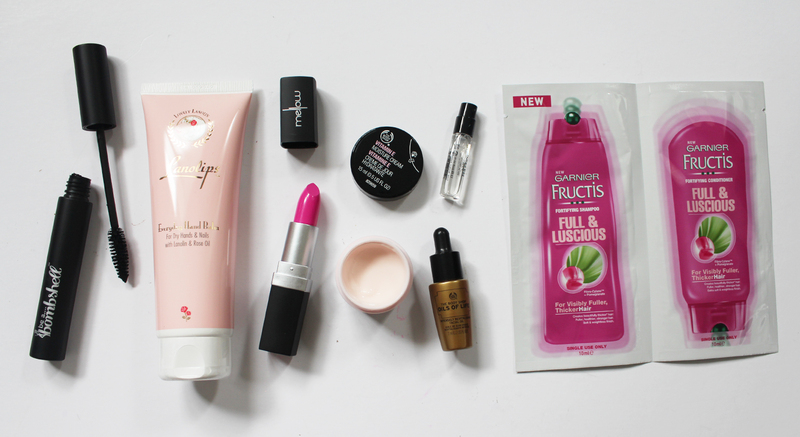 Overall a really impressive bag of products, with a total value of around $84! The Lust Have It subscription is AUD $19.95 a month plus $2.95 shipping to NZ, but if you want to try out Lust Have It you can get $5 off when you use the code CASSMYEE1 and try out this service for yourself! Did you get the February box? What products are you most intrigued by?